A guy came back home from a business trip to his beautiful wife. He clicked this picture of hers as soon as he got back. After a few days he killed his wife and put this photo in her pocket after killing her!! During his trial, he said that he killed his wife because she was cheating on him. The prosecutor asked, "What proof do you have?" The husband said, "That photo is the proof. Look carefully." 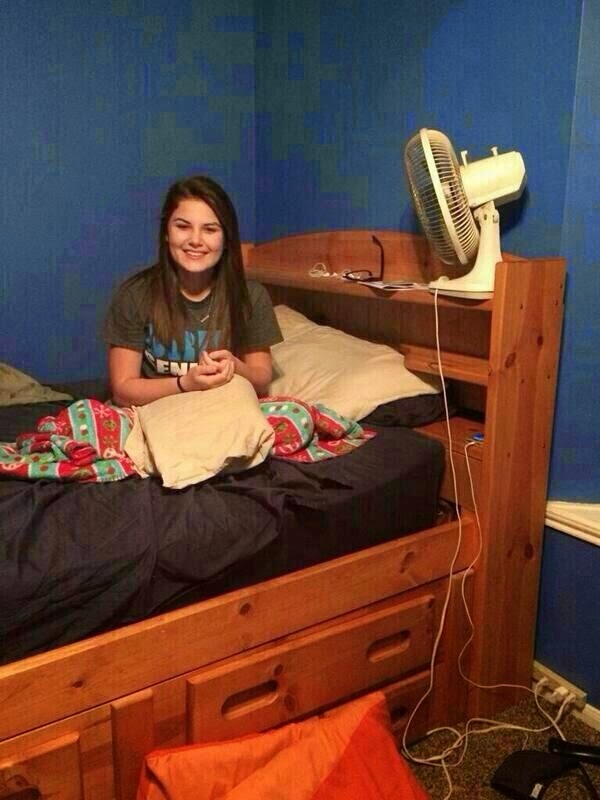 Question - What did the man see in the picture that made him kill his wife?